The Sid Hille Camerata is a chamber music ensemble that performs Sid Hille’s compositions for string quartet, piano quintet and various other combinations featuring guest soloists. The Camerata’s music draws on influences from jazz, contemporary classical and ethnic music, featuring sparkling virtuosity, beauty of sound, spontaneity and humour as well as moments of solemn depth. The Sid Hille Camerata released its second CD ‘Farbformen’ (SatnaMusic CD 171) in spring 2017, receiving 5-star reviews. ‘Farbformen’ was nominated for ‘Best recording of 2017’ by the national Broadcast Corporation YLE and was voted the audience’s favorite. The recording includes Hille’s string quartets ‘Quatuor no. 2 – In Farben’ and ‘Quatuor no. 3 – Equilibrium’ as well as a composition called ‘Coco’ for piano quintet. The official release concert was held at Helsinki’s magnificent Music House in the Black Box concert hall in May 2018. 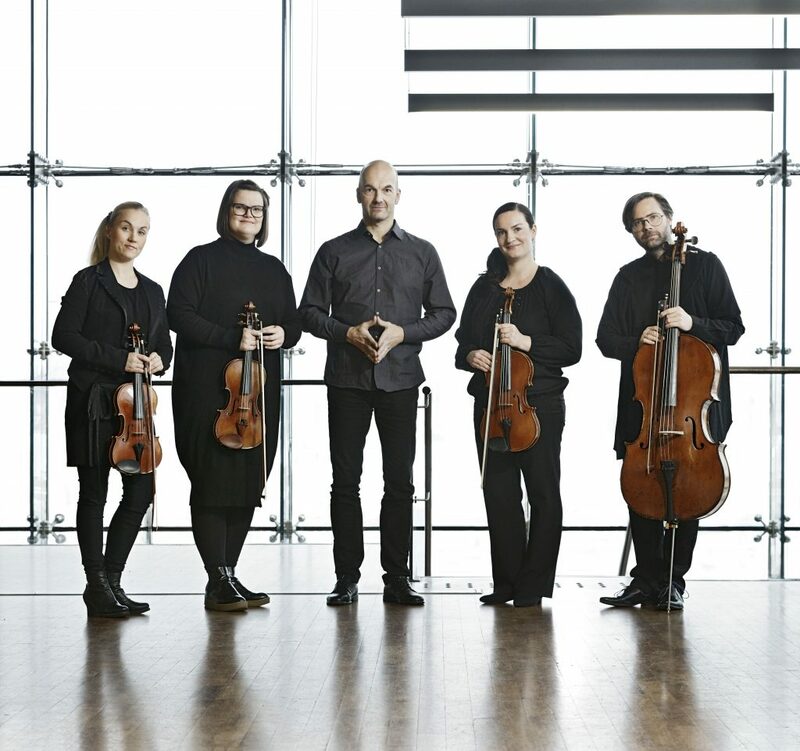 The Sid Hille Camerata is working frequently with jazz guitarist Teemu Viinikainen who was featured on the ensemble’s debut CD ‘The Zen Connection’ (2012). In 2010 Teemu had commissioned a composition from Sid for guitar and string quartet. The resulting 25 minutes composition ‘Frizzle, Sizzle, Dazzle‘ had its first performance at the Viapori Jazz Festival in Helsinki in August 2011 and was consequently performed on several concert tours throughout Finland. ‘The Zen Connection’ album received raving reviews. In 2019 the Sid Hille Camerata will team up with world renowned mezzo soprano Virpi Räisänen to perform a new composition of Sid’s for mezzo soprano and string quartet commissioned by Virpi Räisänen. In fall 2019 the Camerata will also perform a new piece Sid composed for virtuoso bass clarinetist Heikki Nikula. Nikula has participated in several of Hille’s projects, being a part of the Contemporary Collective, performing with Sid as a Duo in the Two Moons chamber concert series and contributing to ‘The Zen Connection’ album. To get updates on the Camerata’s activities, please, follow us on Facebook or check the Gigs calendar.